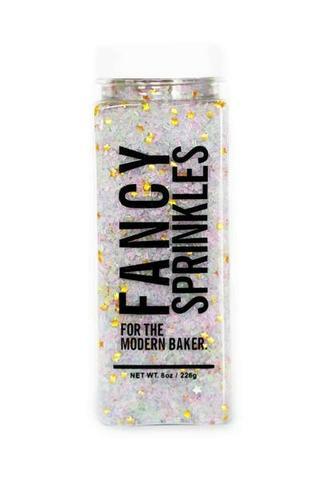 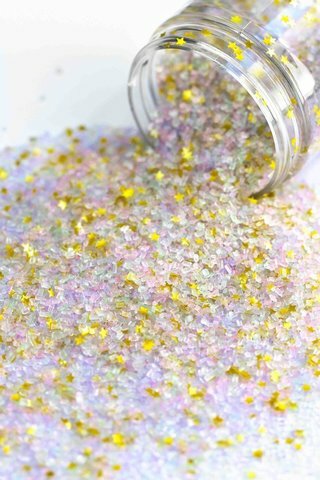 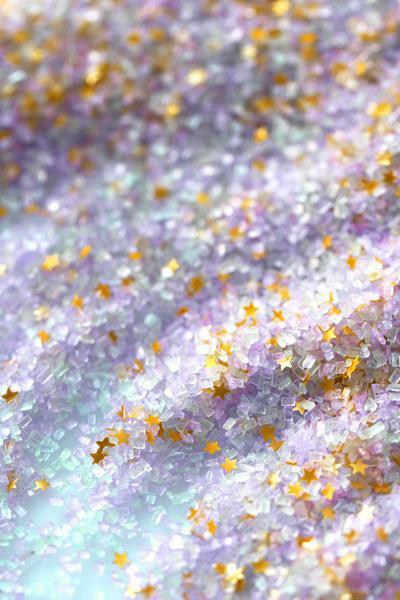 Unicorn Dust is an ethereal blend of pastel pink, pastel blue, mint green, and lavender sugar crystals with our metallic gold edible glitter stars. This mix has such a fun, beautiful, unicorn & cotton candy-esque vibe! 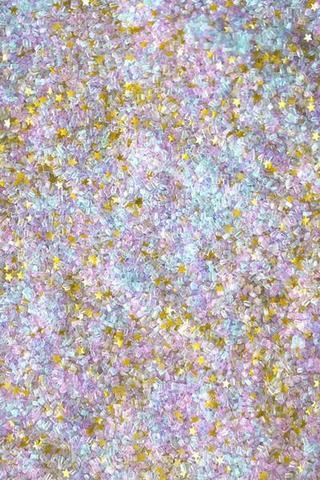 Definitely a summer fav.